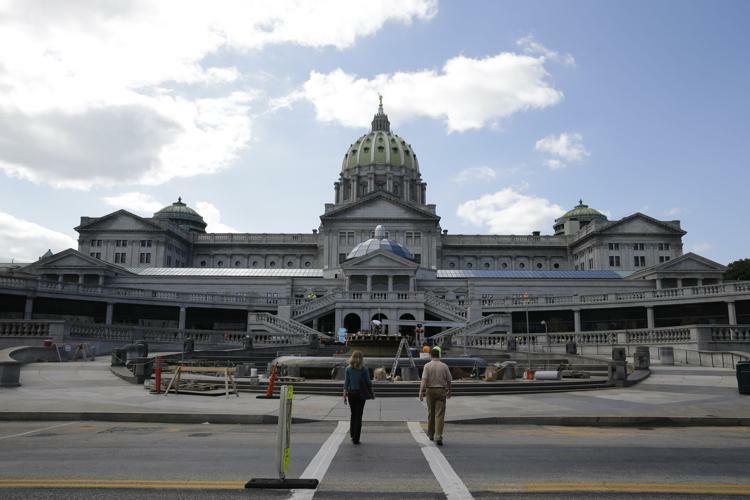 HARRISBURG — Parents would no longer have the right to refuse to get their children vaccinated for religious or philosophical reasons under a state Senate proposal made Thursday. Leach’s proposal comes as public health officials have been scrambling to deal with measles and mumps outbreaks across the country — including one at Temple University in Philadelphia that had affected 106 people, as of Wednesday, according to the university. Only three states — California, Mississippi and West Virginia — don’t allow parents to cite religious objections to get out of immunizing their children, according to the National Conference of State Legislatures. Pennsylvania is one of just 17 states that allow parents to opt out of immunizing their children for other philosophical reasons. Leach introduced a bill in 2015 that would have eliminated the state’s exemption for immunizations for philosophical reasons. That measure never got a committee vote. He noted that since then, the number of people claiming exemptions for religious and philosophical reasons has increased. Of the 123,777 kindergarten students enrolled in 2017-18, 1,371 were in school without immunizations due to religious objections raised by their parents and 1,526 were enrolled without immunizations due to philosophical objections, according to the state Department of Health. The number of exemptions has grown in recent years, Health Department data shows. In 2013-14, there were 1,091 children in kindergarten without immunizations due to religious objections and 1,412 kindergarten students without vaccines due to philosophical objections. He’s not alone in moving to crack down on immunization exemptions. Similar bills targeting the religious exemption have been introduced in a number of states, including New Jersey, New York, Iowa, Maine and Vermont, according to The Washington Post. None of those states, except Maine, allow parents to opt out of immunizing their children for philosophical reasons, according to the National Conference of State Legislatures. But legislation in the state House suggests that there may be some resistance there to Leach’s effort to crack down on vaccine exemptions. A group of eight House Republicans has introduced legislation that would bolster the rights of parents who refuse to get their children immunized for philosophical or religious reasons. House Bill 286, authored by state Rep. Daryl Metcalfe, R-Butler County, would bar pediatricians from refusing to treat children whose parents have cited one of the immunization exemptions. That bill is still in the House health committee.